The process of immigrating to the United States can be a very lengthy and complex one, and there are some steps between the initial application and achieving citizenship. One of the most important, if not the most important, of these steps is obtaining a green card. A green card is often the first step to becoming a lawful U.S. resident, but it can be difficult to obtain this important document on your own. Fortunately, a qualified legal professional can help. If you or a loved one is attempting to obtain a green card in Austin, the lawyers at the Law Office of William Jang, PLLC, understand the challenges that you may be facing, and we are dedicated to working hard on behalf of our clients to ensure that they have the resources and the support they need. The Austin green card attorneys of the Law Office of William Jang, PLLC know that your dream may be to live and work in the United States, much like many other immigrants who have successfully made this country their home. Yet, immigration law can be quite complicated, and many people are turned away for simple and avoidable clerical errors. Our law office is fully dedicated to our clients, and we will provide you with the support and representation you need to resolve your immigration and green card concerns. 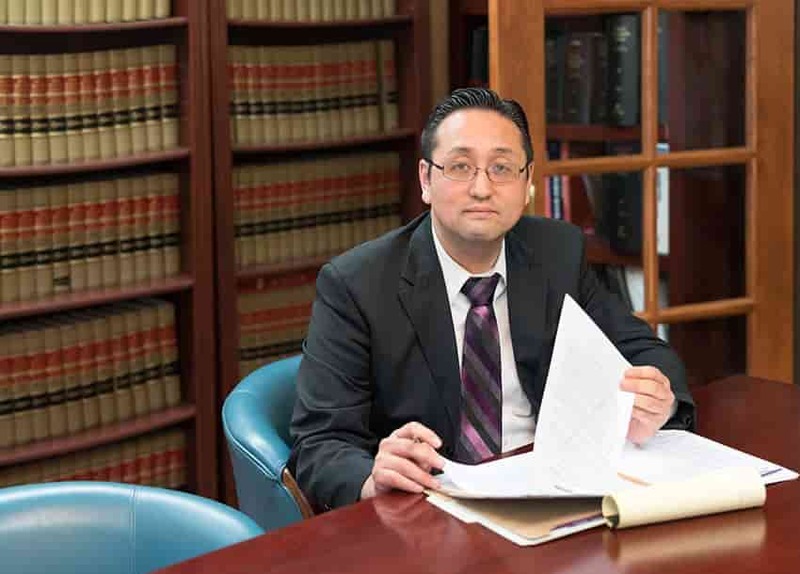 At the Law Office of William Jang, PLLC, we have a team of experienced lawyers that have dedicated their careers to helping immigrants and their families live the dream of being residents of our country. If you want a law office that is understanding, compassionate, and experienced, contact the attorneys at the Law Office of William Jang, PLLC us today by calling (512) 323-2333. Do I Need A Green Card Attorney? Immigration law can be quite complex and frustrating to the individual that is seeking to live and work in the United States. Seeking the assistance of a qualified green card attorney is your best bet for obtaining the status you seek. Whether your desire for being in the United States is related to employment, school, family, or personal reasons, an immigration lawyer is an invaluable resource. Numerous challenging and overwhelming issues may arise, including delayed applications and complex court proceedings, among others. There are also various reasons that you may not be allowed to come into the United States. An immigration lawyer can help you seek waivers so that there would not be an inadmissibility issue. Taking a chance on getting approved without proper representation may not be the best decision if your goal is to live and work in the United States. We know that you are likely considering the question: how do I know which green card lawyer is the best choice for me? Choosing the right lawyer may determine the outcome of your case, so it is critical that you choose wisely. At the Law Office of William Jang, PLLC, we understand that there are many immigration lawyers in the area that could take on your case, and we believe that our experience helping so many others is what sets us apart from the rest. We realize that Austin and San Antonio are both popular locations for immigrants, and we want to help you achieve your dream of becoming a resident and obtaining a better life for you or your family. Our attorneys have extensive experience with all types of immigration issues, and we have decades of combined experience helping people just like you. In that time, we have earned a reputation for tirelessly fighting for the rights and needs of our clients. Our dedication to compassion, details, and the success of our clients is what sets us apart from any other law office in Austin. We are known for going the extra mile, and we have an excellent understanding of multiple areas of immigration law. This level of care is standard at our firm because our attorneys realize how important your case is to you and we want to assist you in any possible way we can to achieve your dream. To make the process easier for you, we have live chat options and easy ways to contact us through our website. If you wish to contact the Austin green card attorneys at the Law Office of William Jang, PLLC directly, you can reach us at (512) 323-2333. With a green card, you will be able to stay long-term in America and pursue incredible opportunities in your personal and professional life. Before you do that, though, you will have to get the application process right, and that will require the assistance of the experienced lawyers at the Law Office of William Jang, PLLC. A green card is formally referred to as an immigration visa. This visa allows you to live and work in the United States. Once you have this visa, there are no definitive limits on how long you can stay or what work you can pursue. While an immigration visa will occasionally have to be renewed, you may continue to reside within the United States so long as you follow the laws of the land and do not violate the requirements for your visa. With the ability to start a whole new life in one of the most prosperous countries on Earth, it is no wonder that green cards are sought out in every corner of the globe. Because of this, the process to get a green card is extremely strict and highly regulated. There is no room for errors of any sort when applying for your immigration visa. That is why it is so important you pursue your green card with the help of the dedicated visa team at the Law Office of William Jang, PLLC. We can help you fill out your forms, meet your deadlines, organize any required evidence, and prepare for all of the necessary interviews. We can also help discover the source of any delays or unexpected obstacles in your visa process. Essentially, there are two types of visas: immigration and non-immigration. As the name suggests, immigration visas provide the possessor with the ability to immigrate long-term to the United States. These visas can lead to an indefinite stay in America and may eventually confer the ability to gain permanent residency and citizenship. Non-immigration visas, on the other hand, allow foreign citizens to enter the United States for a certain period and a certain purpose. Some of these visas are renewable, but they are generally temporary by nature. An additional difference is that immigration visas provide the possessor with access to government benefits and protections, as well as the ability to work freely. Non-immigration visas put restrictions on these elements. It is significantly harder to qualify for an immigration visa than a non-immigration visa, so be sure to contact the Law Office of William Jang, PLLC to find out which visa you are best suited for. Employment-Based: An employment-based green card allows those with exceptional skills, advanced training, important religious positions, or significant income to invest within the country to stay long-term in America. These visas do not require you to have a job before you apply and therefore provide more freedom than many non-immigrant work visas. There may also be a way to turn your employment-based immigration visa into permanent residency. Family Based: If you have family members who are already U.S. citizens or permanent residents, you may be able to earn a family-based green card. These green cards allow spouses, children, siblings, and parents to join their family in the United States. These visas provide the possessor with permanent residency. However, there are different requirements for different family members, and there may be caps and long waits associated with some family members earning their green cards. There are many different visa options within these categories, and finding out which visa best suits your situation is a critical part of the process. Successfully earning a green card takes far more than just isolating the right category and finding out if you qualify. Applicants must go through an extensive and complex green card process, even when eligibility seems apparent. To avoid any costly errors that may leave your application delayed or rejected, you should bring your green card case to the Law Office of William Jang, PLLC, where we can use our decades of experience to help you navigate the visa process smoothly and successfully. When the U.S. Citizenship and Immigration Services (USCIS) grants an individual immigration status, what do they consider? The USCIS will typically look at the person’s relationships within the country, like if they have an immediate relative who is already a citizen in the United States, or if they are a lawful permanent resident. They will also consider whether or not the person has found permanent employment here, and if that employment fits the categories of eligible employment. The USCIS also takes into account whether or not the individual qualifies as a refugee, which may have bearing on their decision. What are my rights as a green card holder? As a permanent resident in the United States, you have the right to live in the country as long as you do not do anything that would warrant your removal from the country under the nation’s immigration laws. You can work in the country doing any (legal) job that you are able to secure, but some jobs are restricted to U.S. citizens only (typically for security reasons). You are rightfully protected by all of the U.S. laws as well as the laws of your state and local municipality. What are the responsibilities of a permanent resident of the U.S.? As a permanent resident of the U.S., you are required to obey all federal, state, and local laws. You need to report your income every year and pay income tax on all earnings from work performed in the U.S. You need to support our democracy and should not work to undermine our form of government. If you are a male and are between the ages of eighteen and twenty-five years old, you must register for Selective Service. What is a conditional permanent resident? Does it limit my rights? Some green card recipients will receive their first residency permit for a conditional two years. This is always the case for those who apply for their green card through marriage. During that time, there are no limitations on employment or access to most of the rights experienced by U.S. citizens. A green card holder may, for instance, move to a new location, purchase property, and seek investment opportunities. The conditional nature of the green card relates simply to the length of time it is valid and the process for removing those “conditions.” Shortly before the conditional green card expires, the resident will have to apply to remove the conditions to gain a permanent green card. This process will include a thorough background check to ensure the resident has acted properly and their circumstances have not significantly changed. In the case of green cards earned through marriage, an end of the marriage is not necessarily a disqualification from a permanent green card, but it is best to consult a green card lawyer to learn more about the circumstances that allow for the removal of conditions. What limitations are placed on a green card holder’s rights? Green card holders have most of the rights of U.S. citizens. They are, as mentioned above, protected by all the laws of the country, the state, and the municipality in which they live. They are free to work, buy property, and otherwise live full lives within the United States. However, there are some limitations placed on green card holders. For instance, a green card holder cannot vote in national elections. They can only vote in state and local elections that are explicitly open to citizens and non-citizens. These are often very limited. The elected offices a green card holder can hold are also limited. Most federal, state, and even local positions require the individual running to already be a U.S. citizen. Other limitations may exist for those green card holders who do not meet certain specifications (see the question about Social Security and other social benefits programs below). Do green card holders qualify for Social Security and other social benefits programs? If a green card holder has lived in the United States for at least five years and has worked long enough to have earned the required 40 quarters of income, they may be eligible for Social Security once they reach the same qualifications expected of citizens. This also applies if they have extenuating circumstances, such as their parents working while they were underage or taking care of the household in a marriage. Other social benefits programs have similar requirements. Many programs, such as Temporary Assistance for Needy Families (TANF), Medicaid, and Medicare require that the green card holder live in the United States for at least five years before becoming eligible (although this is a state-by-state qualification). Some programs make exceptions for green card holders who are under 18 years of age, such as the Supplemental Nutrition Assistance Program (SNAP) and the Children’s Health Insurance Program (CHIP). How long can a green card holder spend outside the United States without jeopardizing their green card? Green card holders are free to leave the United States for temporary visits. The length of these visits is flexible, but there are limitations. The green card holder does not need any special permission for travel that lasts less than one year. If the permanent resident intends to be away for longer, they should file Form I-131 before traveling to get special permission for reentry. For travel longer than two years, green card holders must apply for an SB-1 returning resident visa. All permissions from Form I-131 will expire within that two year period. While time abroad is not a problem for green card holders, a large number of trips or extended stays may be questioned later for those who wish to renew green cards or seek citizenship. I’ve lost my green card and my (foreign) passport. Can I replace them? Your foreign passport will depend on the requirements of your home nation. A green card can be replaced if lost or destroyed by filing Form I-90 with USCIS. Depending on your local USCIS office, it may be possible to get a temporary green card stamp (although this may require a new passport) once you file I-551. Speak with a green card lawyer to find out more about your options. Are there a limited number of green cards given out each year? The answer to this depends on the type of green card the individual is applying for. For instance, there are no limits placed on green cards through marriage. There are, however, limits (also called “caps” or “quotas”) set on some kinds of green cards. Employment green cards, immediate family green cards, and many other green cards on offer can only be earned depending on how many have already been accepted within a certain time period. To find out more about the limits placed on green cards and whether you or someone you know would qualify, see a green card lawyer for more information. Can I petition for family to join me in the United States with green cards? There has been a lot of debate about so-called “chain migration,” in which a family member in the U.S. petitions for many family members to get green cards to join them. The reality is much more limited and more complex. A U.S. citizen or permanent resident can petition for immediate relatives to receive green cards. These can include parents and minor children. Adult children and siblings may also be eligible, although these are not as straightforward and may require a certain amount of waiting to accommodate quotas. Once again, this is very much a topic that is being debated, so you should speak with a green card lawyer to get a better understanding of where the law stands now and what your options are. As you can see from the statistics, immigration to Texas and the United States has been very significant and consistent. Additionally, immigrants contribute a huge amount to the Texas economy through jobs received. Our green card attorneys recognize the important contributions of immigrants and we sincerely want to assist immigrants and their families in any way that we can. When you are trying to renew or obtain a green card, you should not have to take on the complex task by yourself. Contact our lawyers for more information or to get started with your case. Don’t wait until it is too late! If you or a loved one needs assistance obtaining a green card, we know what it takes to effectively help you. Our determined and empathetic legal team at the Law Office of William Jang, PLLC has years of experience handling a broad range of immigration law cases. Contact our attorneys today by calling to learn more about what we may be able to do for you or your family. The Austin green card attorneys of the Law Office of William Jang, PLLC are committed to helping everyone get the legal representation that they deserve. Our belief is that the American dream applies to each and every person who wishes to make this country their home. If you or a loved one is trying to enter the U.S., work in the U.S., or remain in the U.S., we would like to help you. To discuss your specific situation with one of our compassionate and knowledgeable green card attorneys, please contact us today through our website, chat live, or call us at (512) 323-2333.